Good party as it always is. 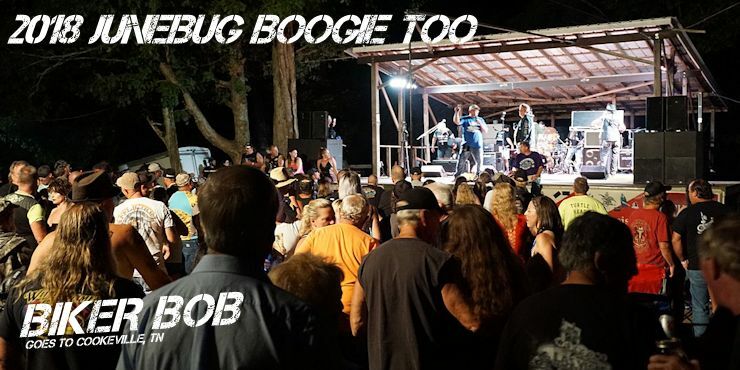 Boogie Too is the fall version of the Junebug Boogie rally. This rally has the most and the best bike games of any event I've been to so far this year. And some pretty crazy contests up on the stage after dark. $40 weekend pass (Thu-Sun), Early bird entries welcome for an extra $10 per day. Saturday only pass $30. Golf carts extra $20 fee. Plenty of primitive tent and RV camping, electric available contact them for more info. Free hot showers, Porta Potty toilets, food vendors, other vendors. Ice sold.